The firing of the guns depended on a complex chain of fire command involving both the Battery Observation Posts and the Battery Plotting Room and also depended on information fed from instruments located in the Plotting Room and the Observation Posts. 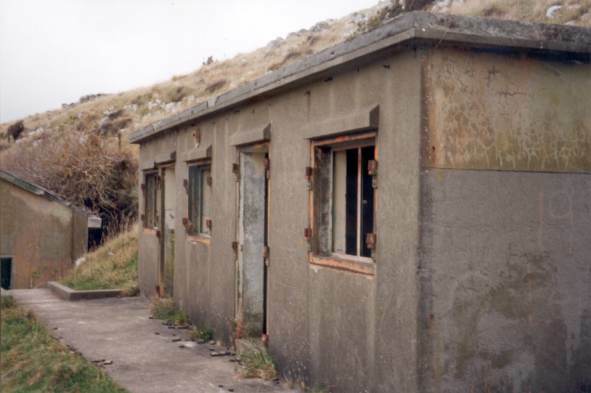 The Battery Plotting Room is located on the harbour side of Godley Head between the Engine Room and the Miniature Range. Here six personnel under a senior NCO operated a large electro-mechanical plotting calculator, called a Mark III Fire Direction Table (reg No.54), supported by a Calculator Ballistic Corrector No.1 Mark 1 (this unit allowed for wear of guns barrels and shell flight time). When in receipt of all required data, the calculator would automatically feed the information to the guns. The necessary data was an accumulation of tide height, target direction and speed, the ambient temperature and pressure, wind direction and speed, charge size and barrel wear. All of these affected the direction and elevation of the gun barrel, the charge required for the shell to reach the target, and the shell flight time. The elevation and line data was continuously and automatically transmitted to the guns by magslip cable and displayed in front of the responsible layers, who trained the guns to match the displays. In BOP3 a Depression Position Finder (a telescope-like instrument mounted on a large circular table) was sighted continuously on the bow of the target vessel. 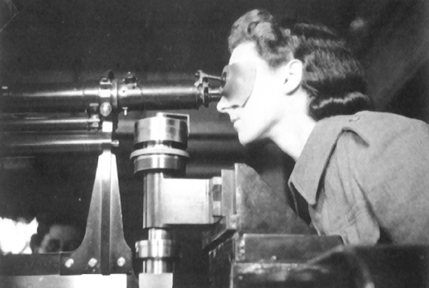 This instrument was used because the Observation Post was located at a different height and bearing to the target than were the guns.The downwards angle and the true bearing between the telescope and the target was relayed to the Plotting Table at the Battery Plotting Room. The down-angle and the bearing were then recalculated by the plotting table to give the down-angle and bearing from the perspective of the guns. This was then used in calculating both the bearing of the guns and their elevation in order for the rounds fired to reach the target. The down-angle from the guns and the known height between the guns and the tide, were used in a trignometric calculation which resulted in the distance to the target. As BOP2 was virtually at the same height as the guns, the distance was not dependant on a recalculated angle. This enabled a simple Range Finder to provide the distance to the target. The different bearing between the guns and the target was relayed to the Plotting Table. With this information the plotting table was able to calculate the necessary bearing and elevation for the guns. An approaching enemy vessel would most likely be sighted initially by long-range rader at BOP1 . When the vessel closed to under 30 miles the short-range radar immediately behind the guns took over. The target vessel would be plotted on the radar room’s wall map and the information relayed to the Duty Officer. The Duty Officer would order the Battery to stand-to and prepare for battle if the vessel proved to be hostile. Duty personnel at the Long-Range BOP3 (or Short-Range BOP2 in bad weather and at night time) would then visually locate the target vessel and follow its course. This information would be relayed to the Seaward Defence Headquarters at BOP1, where the data would be plotted on a large wall map. The Lyttelton Fire Commander located in the Seaward Defence Headquarters at BOP1 would appraise the situation and pass permission to engage the enemy to the Battery Commander at BOP3. The Battery Commander would give the command to fire to the Officer in charge of the Battery Plotting Room. When each gun was loaded a signal was automatically displayed to the Officer in the Battery Plotting Room. He then passed the fire command to each Gun Sergeant by telephone. The fall of shot was observed from BOP3 and corrections relayed to the Battery Plotting Room. The corrections would be entered into the Fire Control Table and relayed automatically to the guns. Corrections continued until fire was effective on the enemy target. When the action was over the Fire Commander would give the order to cease fire. If there was no immediate potential of further action, the Battery was told to stand down.